Home / vietnam / The overwhelming Lotte and Ion (AEON) Vingroup owns 1.5 million square meters of real estate and accounts for two-thirds of the commercial market share in Hanoi and Ho Chi Minh City. 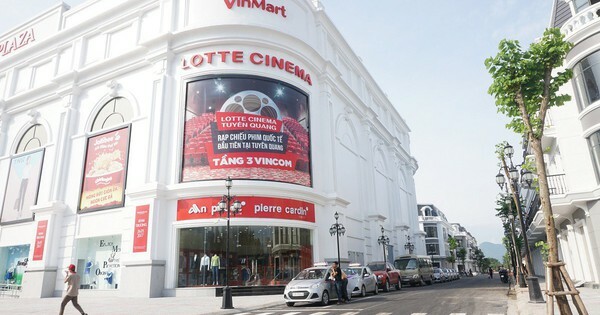 The overwhelming Lotte and Ion (AEON) Vingroup owns 1.5 million square meters of real estate and accounts for two-thirds of the commercial market share in Hanoi and Ho Chi Minh City. In Vietnam, the retail industry continues to be dominated by traditional trade channels. For example, traditional markets and small grocery stores are an integral part of community activities and everyday life. In rural areas, it accounts for 90% of the market. In urban areas with modern trade channels, traditional forms account for 50% of the market. In recent years, however, there has been an explosion of modern retail channels in various retail formats throughout Vietnam. This trend is particularly strong in both the major cities of Ho Chi Minh City and Hanoi, with 22% and 11% of the retail sales. Nearly 10% of the three dynamic cities have large industrial complexes such as Binh Duong, Dong Nai and Hai Phong. In particular, Ho Chi Minh City has emerged as a major attraction for the Vietnamese retail chain. The number of supermarkets has dramatically increased in recent years to about one fifth of the national supermarkets. The city also has the most commercial facilities and doubles Hanoi. 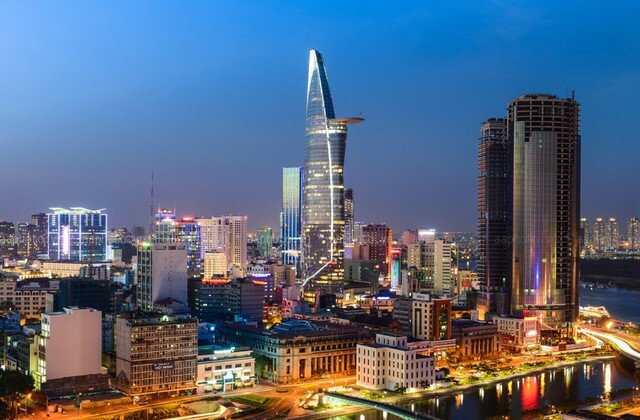 According to Deloitte's report, there are currently about 200 trade centers operated by domestic and foreign companies in Vietnam. Typically, these shopping centers have a variety of facilities to meet your entertainment and shopping needs. The big guys in this market are Ion, Lotte, Wing Group. Commercial centers are poaching in all major cities in Vietnam. In particular, Vincom currently occupies a market share of 60% of the Hanoi and Ho Chi Minh City Trade Centers with a total area of ​​1.2 million square meters. Calculating the update numbers by March 31, 2019, Vingroup owns 66 trade centers and has 1.5 million square meters of land in 38 states. In 2019, 13 new shopping centers will be opened and a total of 79 are planned. Foreign companies are not so far behind. They showed a big growth ambition. Ion Japan recently started building its sixth commercial center in Hai Phong, which is scheduled to open soon in 2019. AEON plans to expand its portfolio to 20 business sites nationwide. .
Lotte Korea also invested $ 400 million to build a commercial center in Lotte Lieu Giai and is building the next shopping center in the West Lake area to be completed by 2020. As the retail market becomes saturated, competition will become more intense. To avoid fierce competition with Ho Chi Minh City's other retail giants, Saigon Co.op is targeting the South-West region, but still lacks quality entertainment facilities. Plan one or two sense city centers each year. The recent closure of Parkson Hanoi is also evidence of the generally increasing pressure in the market. After opening its first store in Vietnam in June 2005, Parkson continued to expand, expanding into nine retail outlets in Danang, Haiphong, Hanoi and Ho Chi Minh City. This was partly due to the strength of the CBD, which has a wider range of choices than department stores. Pico Sai Gon and Zen Plaza have also narrowed or narrowed their activities.